PARAMUS, NJ--(Marketwired - Dec 12, 2013) - Dr. Luis A. Zapiach and Dr. John T. Cozzone lead Art Plastic Surgery in Paramus and Franklin Lakes, a New Jersey plastic surgery practice that offers a range of surgical and non-surgical procedures. Recently, Dr. Zapiach was named a Top Doctor by New Jersey Monthly Magazine for the second consecutive year in a row -- an honor voted on by other physicians in the local area. Dr. Zapiach says he hopes this latest recognition is reflective of the level of attention paid to the individual patient at Art Plastic Surgery, which he believes is central to the practice's philosophy and success. In a recent blog post titled "Dr. Luis Zapiach Recognized as a Top Doc in New Jersey," Dr. Zapiach talks about the significance of receiving this honor: "I hope that the award will reinforce to our current patients, as well as prospective patients, the high level of quality care that we strive to provide at Art Plastic Surgery." In addition to serving the community of Paramus, New Jersey and the surrounding areas, Dr. Zapiach often serves the needs of other local physicians and their families and friends. Since New Jersey Monthly Magazine's Top Doctor recognition is a peer-selected award, the honor is particularly important to him. Dr. Zapiach says he takes pride in the fact that he spends time with his patients, getting to know them as people and their unique expectations in regard to their surgical results. "New Jersey is my home and this honor is very important to me. I grew up, went to school, and completed most of my training in the area; now I take care of many people I grew up with, went to school with, or work with. I take pride in caring for my community and personally performing all of the patient care myself." For patients seeking a New Jersey plastic surgeon, Dr. Zapiach recommends they seek out more than one opinion, see photographs of each surgeon's work, and make sure that they are seeing a board-certified plastic surgeon who has experience performing the procedure they are considering. He also notes that patients should find a surgeon willing to spend the appropriate amount of time in the consultation process going over everything that happens during the procedure -- and a surgeon who will treat each patient as an individual person with unique needs and goals. 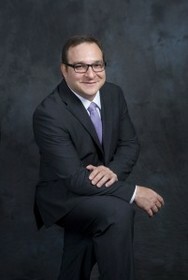 A graduate of Rutgers University, Dr. Zapiach earned his medical degree with honors in Microbiology from New York University School of Medicine. Afterward, he went on to complete a fellowship in plastic surgery at Emory University and received additional training at Paces Plastic Surgery in the field of oculoplastic surgery. Dr. Zapiach is double-board certified in Plastic Surgery and General Surgery and is known for his extensive experience with natural breast augmentation, mid-facelift surgery, and other advanced procedures. He is available for interview upon request. For more information about Dr. Luis Zapiach and Art Plastic Surgery, please visit artplasticsurgeons.com or facebook.com/artplasticsurgery. To view the original source of this press release, click here: http://www.artplasticsurgeons.com/news-room/paramus-plastic-surgeon-recognized-as-top-doctor-by-new-jersey-monthly-magazine/.